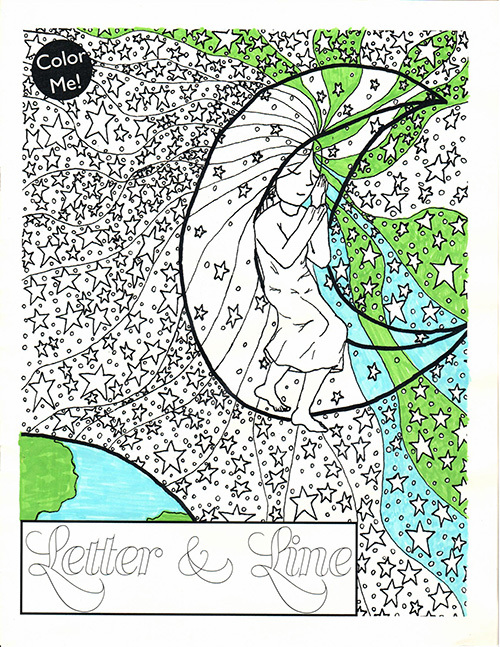 Letter & Line is a literary and arts magazine sponsored by the Creative Writing Program at the Sylvania Campus. The publication highlights the creative work of PCC students – stories, poems, drawings, photographs, and photographs of paintings and other artworks. Although eighty percent of Letter & Line is devoted to student work, twenty percent of each issue is reserved for non-student work: faculty, staff, and community members are welcome to submit along with students. Letter & Line is designed, edited, and published in newsletter format by the same WR 246 and WR 249 student editors who produce the PCC Sylvania annual magazine of literature and art, Alchemy. You can also read the Spring 2016 Letter & Line online edition. See more Letter & Line in our back issues.